He's very excited, mainly because when he finishes this week's lessons, we'll be playing on 'real' courses and not just bashing balls around in the field behind our house. He has no idea, really, that I'm way more excited about that than he is. 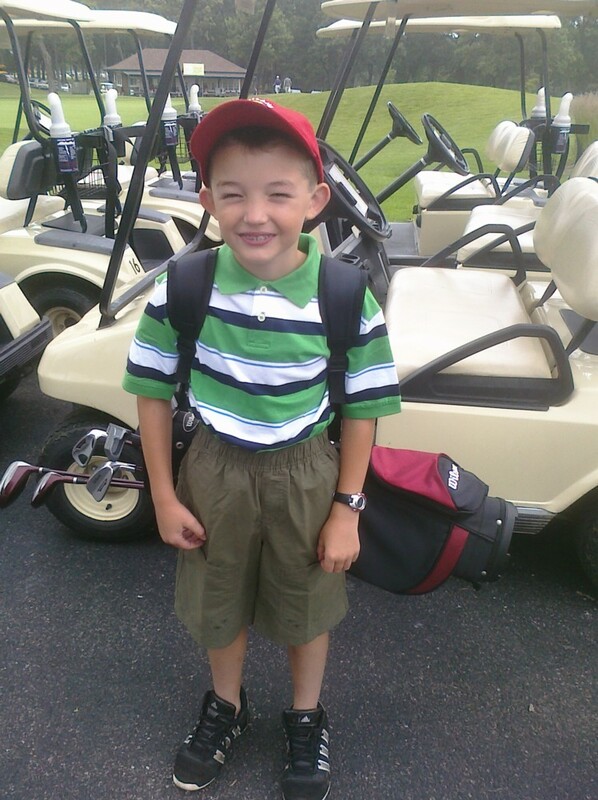 Bailey starts his week of golf lessons next month. We're all going to be playing together by the end of the summer.